The Galaxy Note7 recall is a terrible situation for Samsung. It has cost them many sales and the leg up the company had over Apple's iPhone 7 went down the drain when the company had to recall millions of devices costing the company $1.5 billion to fix. 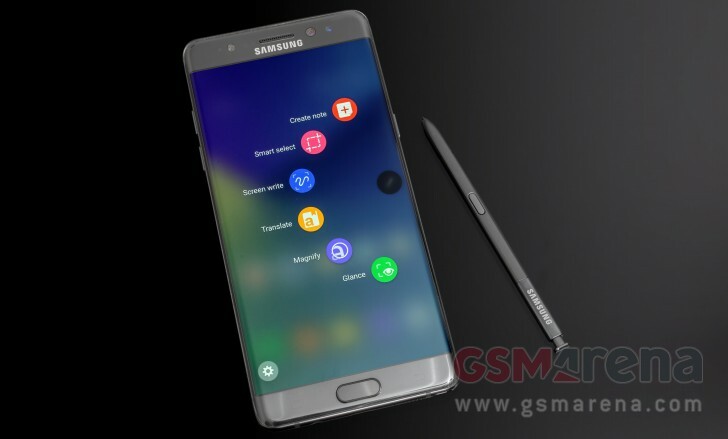 BayStreet Research reports that the Samsung Galaxy Note7 was selling quite well. In fact, right before it was recalled, the Galaxy Note 7 was 25% ahead of the sales of the previous year’s Galaxy Note5. After the recall, which finally became official on September 15, the same research firm re-estimates the Galaxy Note7 has only made 60% of revenue that the Note5 had made in the same amount of time. As well, BayStreet reports that 7.3 million units were sold in Q3, just 6% behind Q2’s numbers. Impressive considering the Samsung Galaxy S7 and S7 edge were also released at the time, suggesting that the Note7 was well on its way to sell just as well as the Galaxy S7 and S7 edge, which met the market with huge success. The Galaxy Note7 is expected to resume sales on October 21 in the US, but replacement devices for customers with affected Note7 units have already begun arriving in the States.